From 31 May-8 June, Thaye Dorje, His Holiness the 17th Gyalwa Karmapa, will lead ceremonies at the Karmapa International Buddhist Institute (KIBI) to commemorate the passing of His Holiness Kunzig Shamar Rinpoche. 31 May marks one year since Shamar Rinpoche passed away, according to the Tibetan calendar. On 31 May there is an official program in English. The relics of Shamar Rinpoche will be installed in the shrine at KIBI, and there will be a film and speeches about Shamar Rinpoche and his life. From 2-8 June, Karmapa will lead the puja of Chakrasamvara. Everyone is invited to take part in the puja. 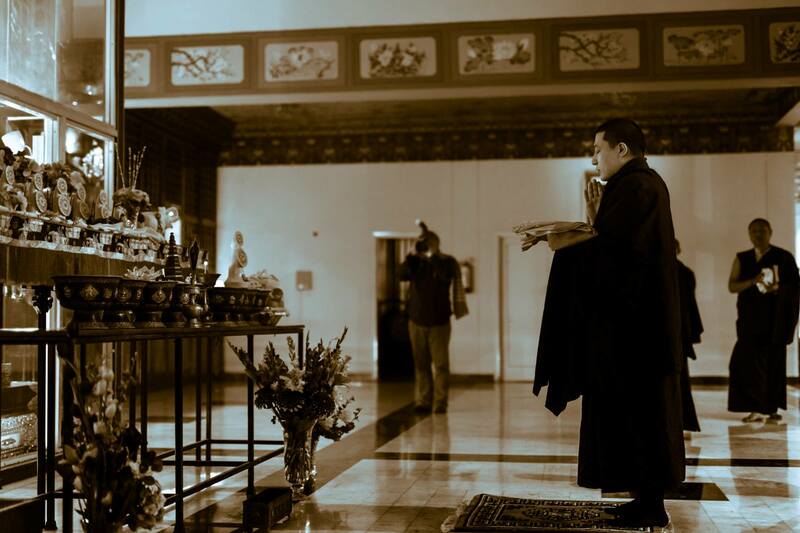 Monastic sangha are asked to bring the required texts and ritual implements. Please note that accommodation at KIBI is reserved for monks and nuns. Lay practitioners and well wishers can stay in one of the hotels nearby. For more information and to register for the event please see the event page on the KIBI website.